Shawnee Mission Kia invites you to learn more about the stylish and new 2020 Kia Telluride near Kansas City, MO. Explore all the specs and options of this stylish and new third-row luxury SUV. If you watched the last Super Bowl, you know there wasn’t much action, and little to get excited about unless you’re from ‘Bahston’. As usual, the ads were the best part of the game and one of the popular spots was the spot introducing the new 2020 Kia Telluride. So, just what IS the 2020 Telluride and just how does it pair up with the Kia lineup? Kia calls the Telluride the ‘future of the luxury SUV’, and while you may laugh since Kia has been known as more of a starting level car maker, it would be a good idea to pay attention. Kia has quietly been producing an eye-opening collection of premium cars like the 365 horse power Stinger GT, the luxurious Cadenza, and the head-turning K900. While the Sorento is a wonderful vehicle, it is not a Luxury SUV, hence the creation of the Telluride. Named “Best in Show” at the 2019 Detroit Auto Show, the Telluride’s addition to the Kia stable means they now have a car for nearly everybody. The 2020 Telluride was just introduced at the Detroit Auto Show so details and information are somewhat limited — such as MPG estimates — however what IS known is eye-opening. Kia verifies the Telluride has a 3.8 L Lambda Direct Injection V6, creating 291 horse power. This drivetrain puts the competition, like the Honda Pilot and Chevy Traverse, on notice. The 2020 Kia Telluride is coming. The 2020 Telluride certainly has a magnificent look, as it blends design from its fellow Kia lineup while also looking entirely original. The designs are bold and strong and resemble nothing like your concept of what a Kia should look like. Remove the badges and you would never guess that the 2020 Telluride is a Kia. Integrated styling hides the Forward Collision Avoidance Assist Sensors in the front fascia. It’s not just attractive ‘for a Kia’, it is honestly a handsome and well-crafted SUV. The 2020 Telluride is made to command and conquer any kind of journey you toss at it. The interior is user-friendly yet stylish with technical features like a 10.25-inch touchscreen, 2 rows of captain’s chairs, and the capability to connect to more than one Bluetooth® device. The 2020 Telluride also has technology for those who intend to use the Kia as a family hauler. The Driver Talk option magnifies the voice to reach 2nd and 3rd row guests. Shouting ‘Don’t make me pull this car over!’ has never been so easy. Do you have youngsters that will only sleep if you drive them around? The Telluride has you covered. The brand-new Quiet Setting utilizes only the front row audio speakers to give those children a quieter place to fight bedtime. Kia’s safety suite, called Kia Drive Wise, features some truly amazing automotive tech. The Blind Spot View Monitor not only informs you to objects in your blind spot, you also get a real-time video feed of those areas. In available locations the Highway Driving Assist can change the vehicle cruising rate to match the vehicle ahead or because you missed the speed limit change. Kia also uses Safe Exit Assist, including an alarm, to check the rear seats to avoid forgetting pets or kids. Want to learn even more about the 2020 Kia Telluride near Kansas City, MO? 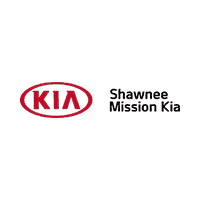 Visit Shawnee Mission Kia online, in-person, or call us to schedule a test drive.